I'm a coffee drinker. I don't care how/where it's made or whether it's been roasted in a gold plated, diamond encrusted vat. All I want is a shot of caffeine into my veins so that I can face fellow humans without snarling. But ever since Anne decided to gift me with a canister of Mariage Freres tea leaves (Sur le Nil), I've started an affair with a different type of beverage. I've visited tea shops in China, sniffed old pu-erh tea leaves that cost several hundred dollars (US) per kilo, drank at traditional tea houses, sat through the entire tea ceremony at a restaurant in Guangzhou, collected tea accoutrements from around the world...... BUT I think I was more enamored with its tradition and history rather than the taste. 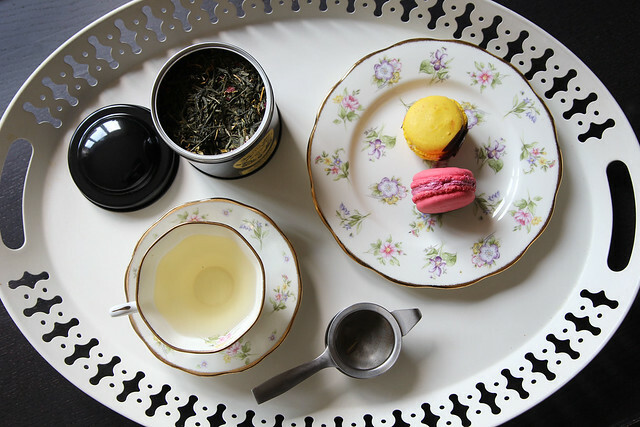 Here's a little more about how to choose the right teapots and teacups. I'm afraid I was so taken with my research that I ended up buying yet another teacup set. pssssst.... Mariage Frères is now available at lower ground floor of Selfridges in London so you can save yourself a Eurostar ticket to Paris. I'm so glad I converted you :-) I find their Thé sur le Nil energizing and soothing at the same time. I also love their Rouge d'Automne: it's like drinking candy but without the bad stuff! 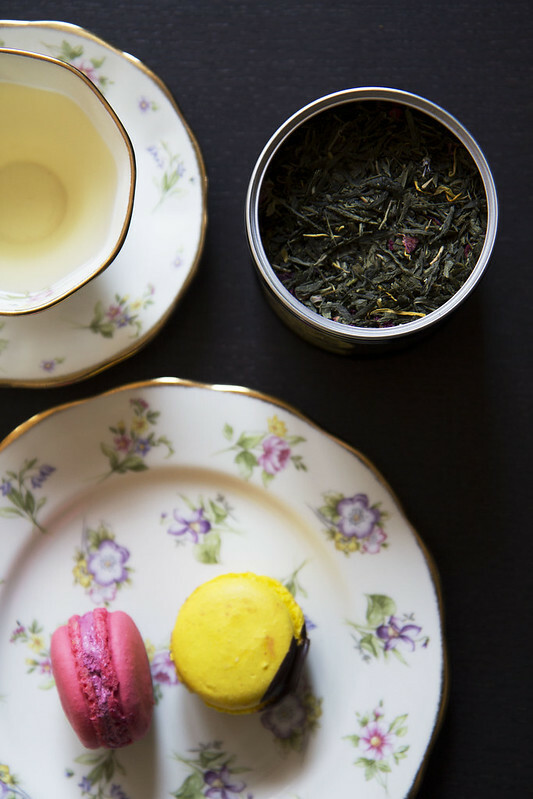 Your teacups are lovely and the Mariage Freres tea sounds divine! I never touch coffee but I'm a copious tea drinker. I have two beautiful vintage china teacups which I'm too lazy use, I have a friend coming for tea tomorrow so I shall give them a well deserved outing. 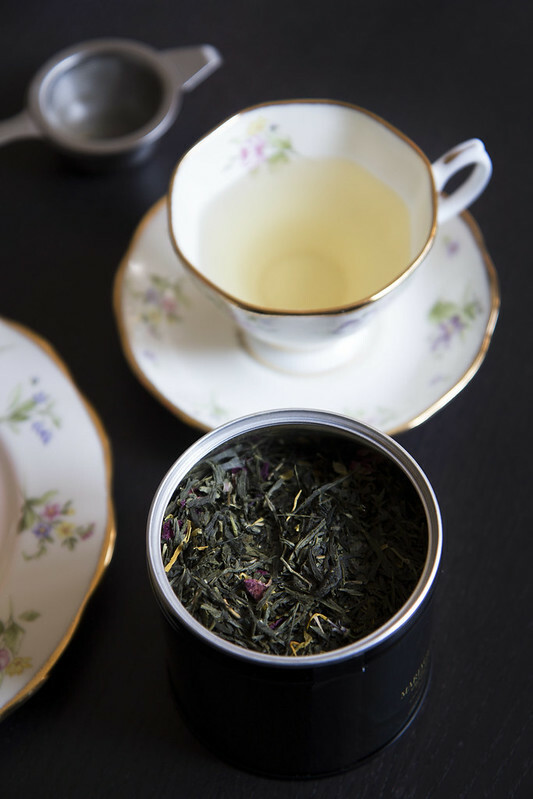 I'm an epicure with some things in life , and fussy to the nth degree : potato varieties, vinegar to name two] but in matters tea , I'm good with Lady Grey and Rose Pouchong [ or is it Oolong] from Fortnum's, or Rose scented black leaf tea from Harrod's. DH adores Lapsang Souchong , we generally buy Waitrose best ! I love your porcelain teacup pictures always. And I hear you. I have tried all my life to love tea.- there is something so civilized about drinking tea out of a perfect bone china cup - ...but I just don't. I keep thinking that one day I'll find the perfect tea but, even the best ones, always pale in comparison to coffee. This post is timely......I was thrifting the other day and lucked upon five perfect English bone china teacups and saucers. All from different English companies and all in different (yet similar) patterns of pink roses on white china with golden trimming. A treasure someone obviously carefully collected. $3.95 a set. So now I have to drink tea.... ;) These are way too refined for Cuban coffee. I'll have to try Sur Le Nil! I still love their signature Marco Polo blend. And the flagship shop in Le Marais is amazing amazing!